This stunning Hudson Reed Richmond Close Coupled Toilet Pan & Cistern will be perfect for you if you're looking for a stylish new toilet. It has been crafted from high quality vitreous china, ensuring high durability you simply can't go wrong - excellent price combined with high quality! 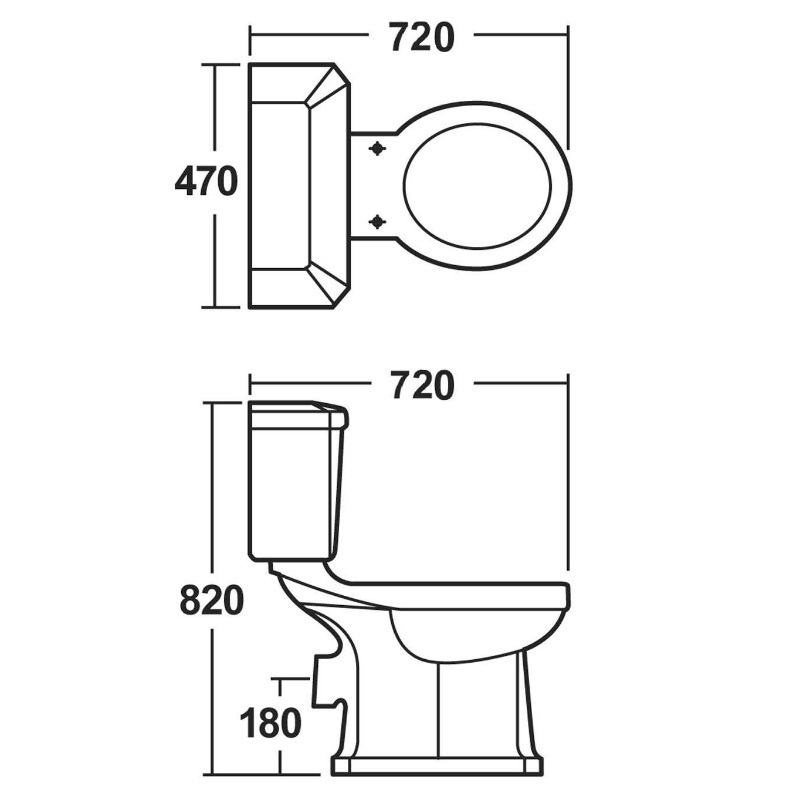 *Please note toilet seat is not included and must be purchased separately - see product options for further details. The Hudson Reed Richmond Close Coupled Toilet Pan & Cistern is covered with a manufactures 5 year guarantee, giving you that extra peace of mind when purchasing this product. The Hudson Reed Richmond Close Coupled Toilet Pan & Cistern has been designed with a stunning white finish, not only will it look amazing but it is also sure to compliment and coordinate with your bathroom perfectly. The Hudson Reed Richmond Close Coupled Toilet Pan & Cistern has been created so that installation is quick and easy. The Hudson Reed Richmond Close Coupled Toilet Pan & Cistern has been created with a stylish design, which will add that extra touch of luxury to your bathroom. Q: Hi, Does this toilet pan and cistern come with a fixing kit? A: I'm afraid it doesn't.